It’s our first giveaway of 2018! 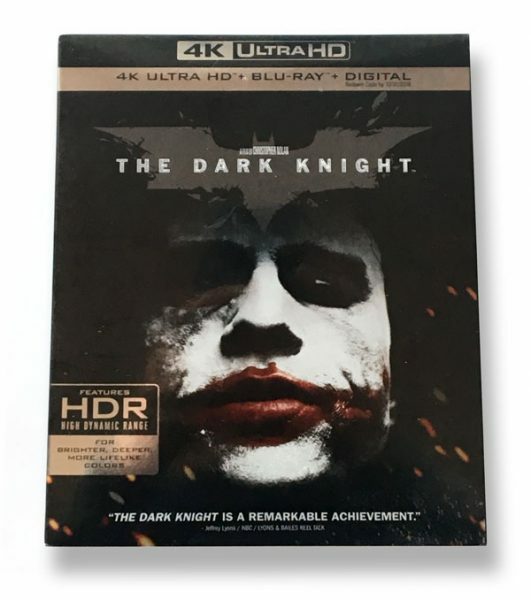 This time we’re giving away a copy of The Dark Knight on 4k Ultra HD Blu-ray to one randomly-picked winner. To enter the giveaway, simply Follow Us on Twitter and Retweet the giveaway to your followers (see below). One random winner will be chosen after the contest ends on Sunday, Jan. 14th at midnight. Important: You must Follow Us on Twitter to receive a Direct Message if you are selected. Winner must have a shipping address in the US in order to receive the prize. Only one entry per Twitter account. If you’ve won a giveaway from us in the last six months you are not eligible. Prize must be claimed within 48 hours or another winner is chosen. Enter the giveaway below using Twitter.